Mutuaide Assistance, Limited Company, governed by the French Insurance Code, with a capital of €12,558,240 whose registered office is at 8/14, avenue des Frères Lumière 94368 Bry-sur-Marne Cedex, registered with the Trade Registry of Créteil under number 383 974 086. Mutuaide Assistance is subject to supervision by ACPR (Prudential Control and Resolution Authority), 4 Place de Budapest CS 92459 75436 Paris Cedex 09. The photographs, visuals and illustrations published are the property of Mutuaide Assistance, partners of Mutuaide Assistance and / or the Groupama Media Library and are used with their kind permission. Our website uses computer applications from third parties, which allow the user to share our website content with other people or let other people know their opinion about content on our website. This is particularly the case of the buttons “Share” and “Like” embedded from social networks such as Facebook, Twitter, Google+ etc. When the customer browses a page of the website containing such a button, their browser establishes a direct connection with servers of the social network.If the customer is logged onto a social network while browsing, the application buttons allow to link the pages browsed to their user account. If they interact by means of plug-ins, for example by clicking on the “Like” button or leaving a comment, the corresponding information will be transmitted to the social network and published on their account. If the customer does not wish the social network to link the information collected through this website to their user account, they must log off the social network before visiting it. The website publisher informs users that, when they click on a hypertext link to other websites or any other existing resources on the Internet, they leave the Mutuaide Assistance website.Therefore, the latter assumes no responsibility for the content of pages or linked websites. The same applies to pages or websites leading to their website.All hypertext links to the Mutuaide Assistance website are subject to prior authorization by the managing editorIn addition, hypertext links to the website mutuaide.fr can only be made with prior express consent of Mutuaide Assistance. Mutuaide Assistance declines all responsibility concerning content of the websites featuring such hypertext links. Comply with the instructions featured on the pages dedicated to subscription. Data stored in Mutuaide Assistance’s information systems may be used as evidence in the event of a dispute regarding the subscription made. The website is subject to French law. Various activities that can be carried out on this website are also governed by French law. This website is subject to regulations applicable to copyrights and intellectual property. All rights of reproduction and representation of the content of this website are reserved. Reproduction is authorized exclusively in paper format for individual and private purposes and for the following types of documents: forms, requests for quotations, tariff simulations and all other online request form, as well as information content. All brand and product names mentioned on the website are registered and protected.Any representation or reproduction, total or partial of these elements, by any process whatsoever, without express authorization of Mutuaide Assistance is prohibited and constitutes an infringement of copyright within the meaning of articles L.335-2 and onwards of the French Intellectual Property Law. The same is applies to the databases featured on the website. The user declares being aware of the risks and limitations related to the Internet, and recognizes in particular being solely responsible for the use he make of the information. The information and opinions contained on the website mutuaide.fr shall in no way be considered as formal advice ensuing responsibility of Mutuaide and / or their authors. The user is also aware of the nature of the Internet, including its technical performance and response time required to browse, query or transfer information. Finally, the user is solely responsibility for taking all appropriate precautions to protect their private data and / or software from contamination with possible viruses circulating via the Mutuaide website and / or information.Internet users are solely responsible for equipping themselves appropriately to access and use the services offered, particularly in terms of information technology, telecommunications and security, and for maintaining that equipment.The user acknowledges having read this manual and agreed to its terms and conditions. 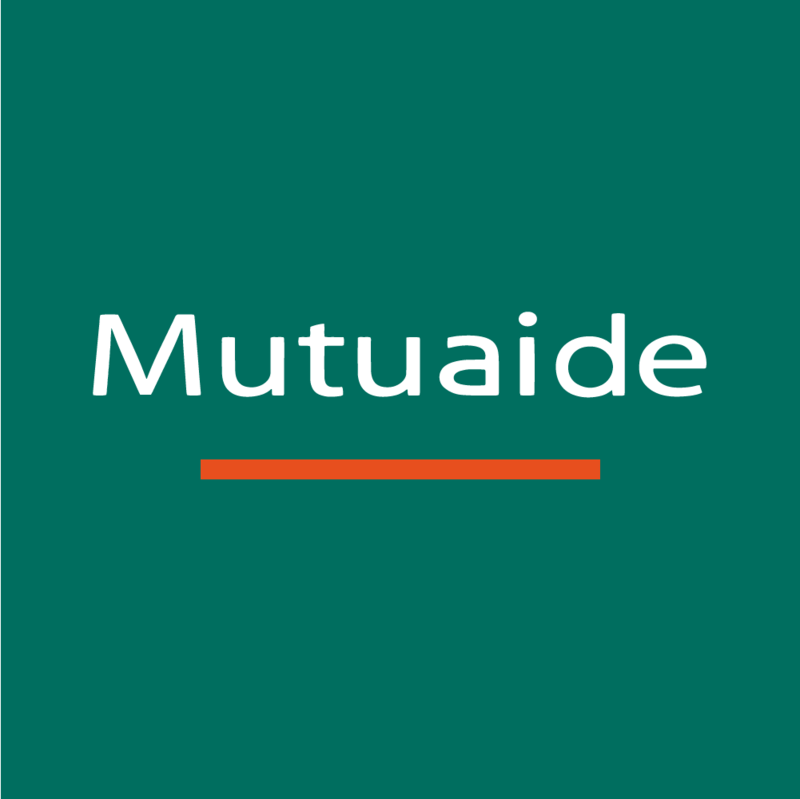 The website www.mutuaide.fr is a presentation and commercial website intended to provide information on Mutuaide Assistance, issue quotes online and manage online subscriptions to assistance products. The website also allows you to pay your subscription online with your credit card. The website www.mutuaide.fr operates 24/7 except for cases of force majeure, technical failures of computer and / or telecommunication equipment and / or maintenance periods. ensure accuracy and updating of information, notably financial, published on this website, which it reserves the right to modify and rectify at any time and without notice. decisions based on information contained on the website and use that may be made of that information by third parties. Mutuaide Assistance shall acknowledge receipt of your claim within a maximum of 10 days of receipt and process it within two months. As a last resort, you can contact a Mediator by post, without prejudice to your right to take legal action. You can reach the Mediator either by mail at the following address : La Médiation de l’Assurance TSA 50110 75441 Paris Cedex 09, soit par internet sur https://www.mediation-assurance.org/. Respect for fundamental rights and freedoms, notably privacy, and protection of personal data, are values Groupama Group companies are particularly committed to. These values are reflected in our day-to-day activities, including the implementation of Personal Data Protection Policies for responsible data use in accordance with the General Data Protection Regulations (GDPR). In May 2018, the Commission Nationale Informatique et Libertés (CNIL) recognized the actions undertaken to ensure protection of data and comply with the GDPR by awarding Mutuaide Assistance with the label “Gouvernance GDPR”. offers a guarantee of service quality and reliability. Privacy and protection of personal data is a factor of trust, a value that Groupama Group companies, respectful of fundamental rights and freedoms, particularly value. This policy reflects the commitments aimed at responsible use of personal data, inherent to the company’s daily activities. In order to protect privacy and personal data of all, in 2007 the Groupama Group appointed a Correspondant Informatique et Libertés (CIL), currently referred to as “Data Protection Officer” (DPO). The DPO exercises missions independently and for all French subsidiaries of the Group. The DPO acts as a guarantee of confidence, a contact person specialized in protection of personal data, responsible for ensuring proper application of data protection rules, privileged interlocutor of the National Commission for Informatics and Freedoms (CNIL) and all persons involved in collection or processing of personal data. Groupama Group companies process personal data in compliance with applicable laws and regulations, including the General Data Protection Regulation (GDPR), the French Data Protection Act (Loi Informatique et Libertés) of January 6, 1978, and regulations issued by the CNIL. Personal Data Governance Policies are implemented in the companies and compliance with their provisions is controlled. Personal data are collected for specific purposes which are brought to the attention of those concerned. These data cannot be subsequently reused in a manner incompatible with these purposes. These data are collected fairly; no data collection is carried out unbeknownst to the persons concerned and without prior notice. Personal data are collected exclusively for designated purposes. Groupama Group companies are committed to minimizing the data collected, keeping it accurate and up-to-date thus advancing the rights of those concerned. Personal data are kept for a limited period of time, which shall not exceed the duration necessary for the collection purposes. The data retention periods are made known to the persons concerned, and vary according to the nature of data, the purpose of processing, or legal or regulatory requirements. Information Systems Protection Policies (PSSI) are implemented, adapted to the nature of the data processed and to activities of the company. Appropriate physical, logical and organizational security measures are provided to ensure data confidentiality and prevent unauthorized access. Groupama Group companies also require any subcontractor to provide appropriate safeguards to ensure security and confidentiality of personal data. Personal data may be transferred to countries within the European Union or outside the European Union. Should this be the case, the persons concerned shall be expressly informed, and specific measures shall be taken to regulate these transfers. Clear and comprehensive information on data processing implemented, easily accessible and understandable by all. Easier access to data: everyone has rights on data concerning them. Such rights are exercisable at any time and free of charge. Thus, persons can access all their personal data, and in some cases have them rectified (e.g. inaccurate, incomplete data) or deleted, or request that use of those data be temporarily limited. Individuals also have a right to portability regarding the data they have personally provided and where such data have been provided on the basis of an explicit consent of the person or contract performance conditions. These rights are exercisable online or by any other means in accordance with the terms and conditions made known to the persons. Such requests can also be addressed to the DPO. This policy, accessible to all on the Mutuaide Assistance website, is updated regularly to take into account legislative and regulatory developments, and any changes in the organization or in the offers, products and services available. And, where applicable, general recommendations on security rules concerning users / customers, especially regarding usernames and passwords. • by post: at the following address: Délégué représentant à la protection des données – MUTUAIDE ASSISTANCE – 8/14 Avenue des Frères Lumière – 94368 Bry-sur-Marne. You are currently connected to the website accessible at www.mutuaide.fr. During your browsing of this website, your personal data may be collected. These are treated in compliance with the amended French Data Protection Act (Loi Informatique et Libertés) of 6 January 1978. They are necessary to access various features of the website (personal account management, contact forms, quote requests, online subscription, newsletter subscription, messaging… see details below), account and forum moderation, to manage navigation and to draw up statistics, and, where applicable, ensure compliance with legal and regulatory requirements. Data featured in various online forms, which are marked with an asterisk (*), are required for proper management of your requests. Otherwise, these requests will not be processed, or their processing may be delayed. This information is intended for your Insurer’s internal services (and its partners or subcontractors if applicable) in charge of management of your requests (subscription, newsletter subscription, contacts, information) or moderation of discussion services featured on the website (forum, messaging) No personal information is collected without your knowledge or used for unforeseen purposes. No information is assigned or passed on to third parties without your knowledge and without your consent, except where required by law or regulation. You have the right to access, rectify, delete or oppose any data concerning yourself collected through this website (forms, discussion services) by clicking on the link “contact Informatique et Libertés” or by sending a letter to Mutuaide Assistance. This website allows you to have access to general information concerning protection of personal data in connection with contracting, management and execution of insurance agreements (1) and also offers you certain features and services, such as the possibility to obtain quotes or take out insurance products online (see details of website features below in 2). For each of the following purposes, the personal data are retained until expiry of corresponding commercial or contractual relationships, and until expiry of statutory limitation periods. Personal data concerning yourself (or concerning persons who are parties or stakeholders of the contract) are processed by the Insurer in compliance with the amended French law on Informatics and Liberties of January 6th, 1978 and with regulations enacted by the CNIL. Their processing is necessary for contracting, management and execution of your insurance agreement and your guarantees, essential for management of our commercial and contractual relations, fraud risk management or execution of legal, regulatory or administrative provisions, depending on the purposes detailed below. You have the right to access, rectify, delete and oppose the processed data by contacting your Insurer by post (see address in your contractual documents) or on our website internet mutuaide.fr, provided you prove your identity. With regard to your health data, these rights are exercised by writing to the Insurer’s Medical Adviser (see postal address in your contractual documents). Data concerning yourself (or concerning persons who are parties or stakeholders of the contract) are needed to manage corresponding commercial and contractual relationships. It is brought to your attention that the Insurer implements an anti-insurance fraud scheme which may notably lead to listing of certain individuals as presenting a risk of fraud. Such listing may result in file processing delays or even in limitation or refusal of a right, a service or a contract offered by Mutuaide Assistance. In this context, personal data concerning yourself (or concerning the parties or interested parties to the contract) may be processed by any authorized person working for Mutuaide Asistance as part of the anti-fraud scheme. This data may also be sent to authorized staff of bodies directly affected by fraud (other insurance bodies or intermediaries, social or professional bodies, judicial authorities, mediators, arbitrators, legal assistants, ministerial officials, third party bodies authorized by a legal provision and, where appropriate, victims of fraud or their representatives). In order to fulfill its legal obligations, the Insurer implements surveillance practices aimed at combating money laundering and financing of terrorism as well as at application of financial sanctions. As part of our relationship, you may need to call us. We inform you that these phone calls can be recorded to ensure proper performance of our services and more generally to improve service quality. These records are exclusively intended to be used by the services in charge of your call. If you have been recorded and wish to listen to the recording of your conversation, you can make a request as described above (see § “your rights”). You expressly agree to collection and processing of data concerning your health which is necessary for management of your contract and guarantees. These data are processed in accordance with medical confidentiality rules. They are exclusively intended for Insurer’s Medical Advisers in charge of your warranties, its medical service, or specifically authorized internal or external persons (in particular our delegates or medical experts). This information may also be used for the purposes of fraud prevention by authorized persons. By using a Vitale card, you authorize healthcare professionals to send the Insurer an information statement allowing for execution of services provided under your contract. You also authorize exchange of information with your compulsory health insurance organization for the sole purpose of processing benefit claims. Personal data concerning yourself (or concerning contract parties or stakeholders) may be transferred to countries outside the European Union, which you are hereby informed of and expressly authorize. These transfers are carried out for the purpose of execution of contracts and our contractual relations, in order to meet legal or regulatory obligations, for the purpose of coordination of actions or litigations notably allowing the Insurer to establish, exercise or defend their rights in court, or for the purpose of defense of those concerned (according to exceptions referred to in Article 69 of the French Data Protection Act (Loi Informatique et Libertés)). These transfers are carried out in accordance with the legal requirements, relevant directives of the European Commission and the CNIL, and may, where appropriate, be subject to specific legal frameworks by the Insurer (or other Groupama Group entities) to guarantee a sufficient level of personal data protection. This information (strictly limited), is intended only for recipients likely to intervene within the scope of the purposes provided for in these general conditions and described above. Implementation of the assistance guarantees provided under the contract may require processing of personal data, including health data, by Mutuaide Assistance. This information is exclusively intended for the persons in charge of management of your guarantees and your health data for the Assistant company’s doctors, authorized managers, and other authorized persons (emergency doctors, paramedics, local doctors). Some data, strictly necessary for implementation of assistance services, may be transferred outside the European Union in the best interest of the person concerned or for the purpose of safety of life. You expressly agree to recollection and processing of health data in this context. You have the right to request Mutuaide Assistance to access, rectify, delete and oppose any information concerning yourself, or send a similar request regarding your medical data to your Medical Advisor. (Request by post, accompanied by a photocopy of your ID, to the Mutuaide Assistance address specified in your contractual documents or on the website mutuaide.fr). Personal data concerning yourself (or concerning contract parties or stakeholders) are also likely to be used and exploited by the Insurer for statistical or study purposes, in particular with a view to diversifying our product and service offerings, personalizing our relationships, better knowing the market, competition or innovations. These data may be associated with, combined with or include your personal data (or data concerning contract parties or stakeholders) collected automatically or communicated by yourself during your browsing of our website, use of certain features of the website or of our mobile application (as defined in our policies “General Policy for Protection of Personal Data”, “Processing of Personal Data: Privacy” and “Cookies” available on our website or provided for in the Terms and Conditions of Use of the website or our mobile application). They can also be combined with statistical or aggregated data from different internal or external sources. All personal data are processed in compliance with applicable regulations, including those relating to privacy and protection of personal data. Other specific means may also be implemented for execution of certain contracts (e.g. geolocation devices, use of mobile applications). Refer to the contractual documents or general conditions of use of these applications for complete information on processing implemented, its purposes and exercise of individual rights. This website provides commercial information about our products and services, online simulations and quotes and allows to subscribe insurance and banking products securely online, to access your personal account and various services detailed below. This website allows you to obtain simulations and quotes online, and to subscribe insurance contracts or services securely online. Personal data concerning yourself (or concerning contract parties or stakeholders) are necessary for development of simulations or quotes as well as conclusion and management of insurance, banking and service offers subscribed online. Regarding the insurance offer, personal data are processed in compliance with the conditions provided for in Paragraph 1 above ” Protection of personal data in connection with contracting, management and execution of insurance agreements” and / or with provisions laid down in the various contractual documents issued by the insurer. Regarding the banking offer, your data are processed in compliance with the provisions of information documents or contractual documents communicated by Orange Bank. This website also allows you to pay your insurance contributions online with your credit card. We remind you that our transactions are carried out in an SSL secured environment (Paybox). Mutuaide cautions Users of the website and its Clients regarding a new type of financial fraud known as “phishing” and carried out via email. This involves partially or fully plagiarizing a website (for example that of a known bank or insurer) and requesting personal or confidential information. In many cases such requests are made to purportedly update security features or databases. We would also like to remind you that your access codes are strictly confidential. As a precaution, avoid giving your secret login codes to other persons. Please note that Mutuaide will never ask you for such information, neither by email, nor by phone or by post. If you happen to receive a message asking you to do so, please forward it to us immediately. Exchanges between your computer and your online Customer account are encrypted to prevent third parties from intercepting confidential data circulating on the Internet. This encryption is characterized by an address beginning with “https” and a small closed padlock indicating that you are on a secure page. When you visit www.mutuaide.fr, data related to browsing activity on your device (computer, tablet, smartphone, etc.) may be saved in “Cookies” files on your device, subject to your agreement, which you may edit at any time. Information that we collect will be used by us internally and for our internal purposes. We do not sell or transfer your information to third parties. Mutuaide will not disclose any of your information unless we have your consent or if it is required by law or regulation. What are the cookies on your device used for? When you connect to our website, we may, subject to your choice, install various cookies on your device thus allowing us to recognize the browser on your device during the validity of the cookie concerned. to adapt the content displayed on your device according to your department of residence priorly selected by yourself for the purpose of customizing your contractual and commercial relationship with Mutuaide. In general, you can choose not to accept cookies by configuring the connection settings of your browser. Some features of the website could thus be affected. social network cookies generated by social network sharing buttons when they collect personal data without consent of those concerned. * The term ‘cookies’ is to be taken in the broad sense and covers all the cookies or tracers deposited and / or read, for example, when browsing a website, reading an email, installing or using computer software or a mobile application. You are concerned by this regardless of the type of device used: computer, smartphone, tablet or video game console connected to the Internet. For convenience, we use the term “cookie” which covers all of these technologies. These cookies are used by social medias to help us better understand your use of our site and thus provide you with the best experience.